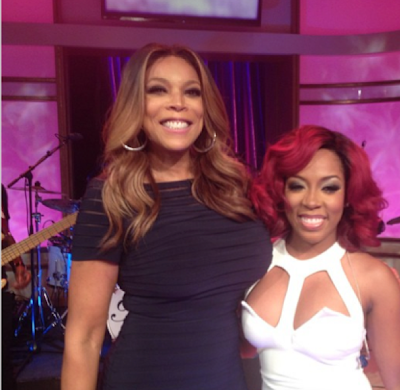 Earlier this week - K. Michelle took to the Wendy's Williams stage on her daytime TV show with her single ‘V.S.O.P.’. The reality TV star has been singing all over the city of New York recently - in preparations to her debut album release. And has even found herself a new love - Lance Stephenson, who plays for Indiana Pacers NBA team. Despite Wendy Williams' previous comments and beef towards the Love and Hip Hop star - she let K. Michelle do what she does best on her stage and even seemed to have enjoyed her performance. Smiles all round for the pair. 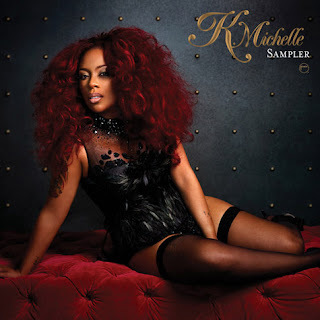 K. Michelle also gave fans a sampler to what they can expect from her new album ‘Rebellious Soul’ - before it hits the shelves on August 13. The album sampler features five songs from the album ‘Can't Raise A Man’, ‘Damn’, ‘Hate on Her’, ‘I Don't Like Me’ and ‘When I Get A Man’.